The regulars were polite and curious. Are you visiting? Where are you from? I felt embarrassed when I replied that I lived close by and that I actually wanted to participate for quite some time. It was a chance encounter, while looking for my creative writing instructor in the English Lecturers Office, that I learned of “Advance Your Dance.” Verna, the secretary, said, “We meet every week. Several times a week. Are you on Facebook? You can find them there.” That was three months ago. I couldn’t find anyone to go with me on a Saturday evening. The first time is always the hardest. Who dares go into a room full of strangers? The men and women who come dance here are serious about dancing. They bring their dancing shoes and water bottles. From 6 pm, they can sign in and pay $5 per person to dance until 9:45 pm. From 7 to 8 pm, a particular kind of dance is taught. The rest of the evening is a mix of music for jitterbug also known as East Coast Swing, waltz, quick step, cha cha, tango, salsa, West Coast Swing, and other styles. Last Saturday, my first time, I lasted barely two hours after learning three kinds of line dances. Tonight, it was intermediate foxtrot. The hosts Frank and Sandy Hook are back from Connecticut. Apparently, they also give dancing classes on Monday and Wednesdays in Wailuku. Dance music brings back fond memories. I recall organizing a latin dancing evening so that I could learn new latin dances from my friend Tim, who was leading a fourteen-member band in London. I rented the church hall on my street and charged five pounds at the door. My friend, the late Ayyub Malik, checked everyone in. All was perfect, except there were too many guys and not enough ladies. I learned a few things that night. Guys were fine going alone to a dance. Girls would not go alone. They’d go with another girl or a guy. A girl was okay dancing with another girl. Guys didn’t do that. Not latin, anyway. Being the responsible host, I made sure I danced with every guy so no one was left out. I even threw in a raffle draw to give away my personal things to make it worthwhile. In the end, we broke even. Everyone was happy, except I couldn’t walk for a few days. Graduation dance in North Carolina ? I did ballet when I was six. It morphed into Chinese Folk Dancing. In high school, I was voted “Dancing Queen” at age sixteen. In college, I took a social dancing course to satisfy half of the physical education requirement. 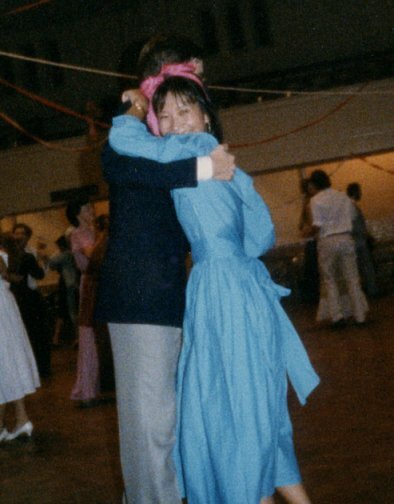 My partner and I worked out cha cha moves to KC & the Sunshine Band’s “Give It Up.” During my junior year abroad in Montreal, the overseas Chinese crowd got me interested in ballroom dancing. With this minimal experience, I was invited to organize social dancing classes in my second job in Singapore. It became so popular that my colleagues asked if that was my real job at the bank. Seeing how it flattened the organizational hierarchy and made a community out of my colleagues, I proposed to start a social club to engage the single foreigners from forty different countries at the London offices of another employer. And that’s how I learned to salsa, lambada, and merengue. What is so fun about dancing? It makes me feel alive and free. 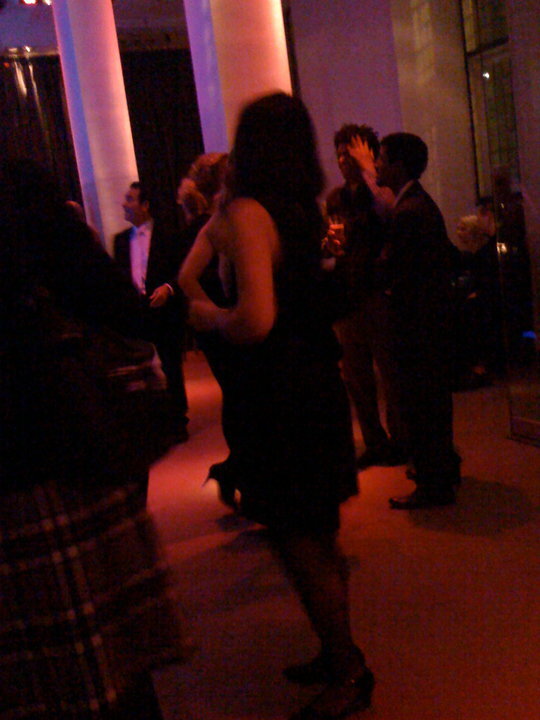 It also brings back fond memories, such as the night I crashed a London Business School Annual Ball with a friend who was in town on business. According to Facebook, he is now a serious ballroom dancer. My next mission? Bring guys so that the ladies don’t have to wait. Next Next post: Piano lessons: individual or group?